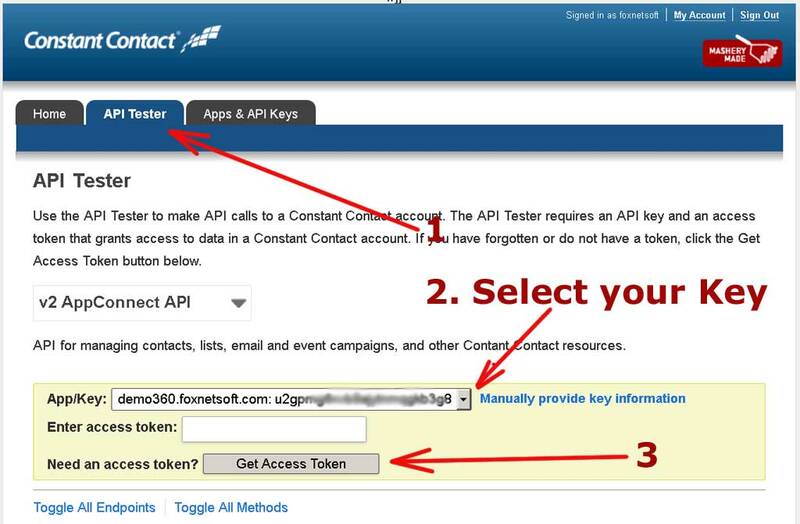 You can take Constant Contact Key from this page. 2. Create AccessToken. See pictures. 2. Install plugin and open plugin configure page. 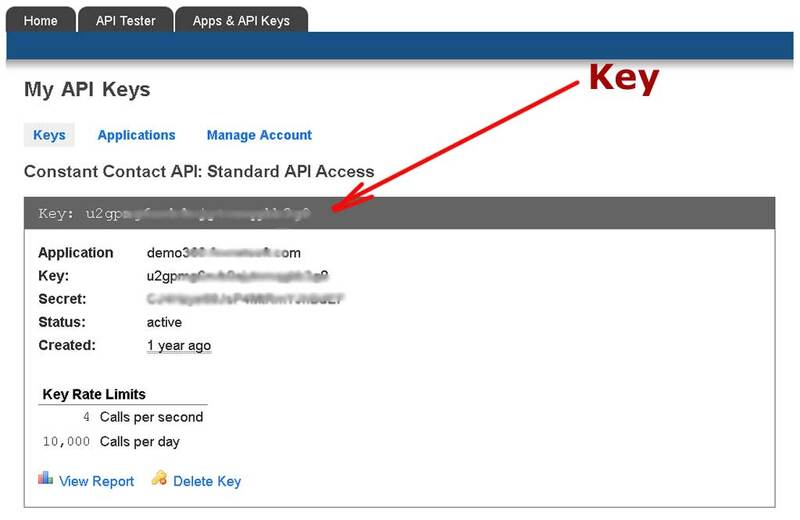 Set up Key and AccessToken. Press Save. After that select Constant Contact List from the list for mapping contacts. 3. How does plugin work? a) Each store can have own ConstantContact account. b) Plugin creates two new ConstantContact lists. One is for Guests, Second is for News Subscribers. 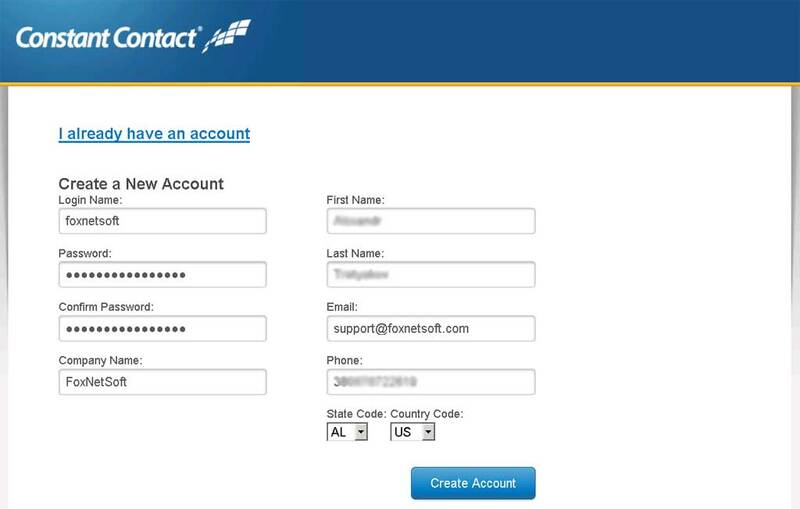 You should select ConstantContact list for Registered customers manually. c) The new customer registered in your store. Plugin will upload this customer in ConstantContact site and add him to list with registered customers. d) The new customer subscribed for your news. Plugin will upload this customer in ConstantContact site and add him to list with news subscribes. e) The existing customer decided to unsubscribe for your news. Plugin will remove this customer from the list with news subscribes. f) This version of plugin doesn't allow to load customers from ConstantContact back to Nop site. We'll add this feature in next release. g) Each customer can be in several ConstantContact lists. One customer can be in the list for Registered customers and in the list for News Subscribers. One customer can be in the list for Guests and in the list for News Subscribers. One customer cann't be in the list for Guests and in the list for Registered customers at once. 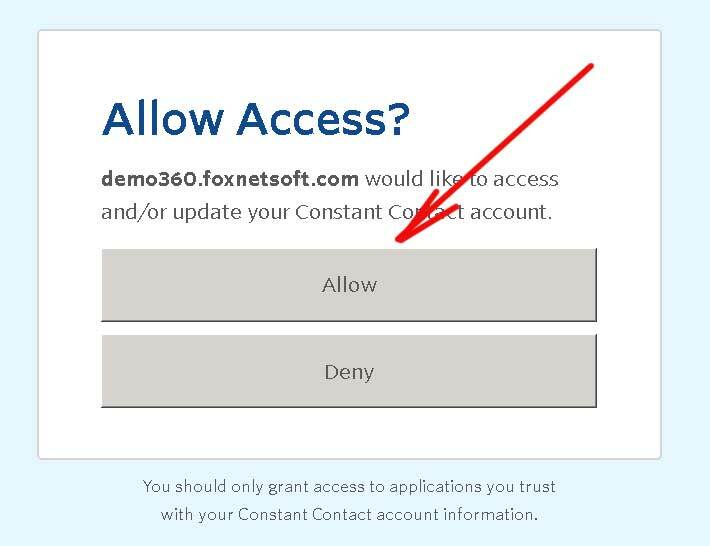 h) If you can empty ConstantContact account you can upload all your customers from Nop store. You can do it using two different algorithms. You can export all customers using .csv file. 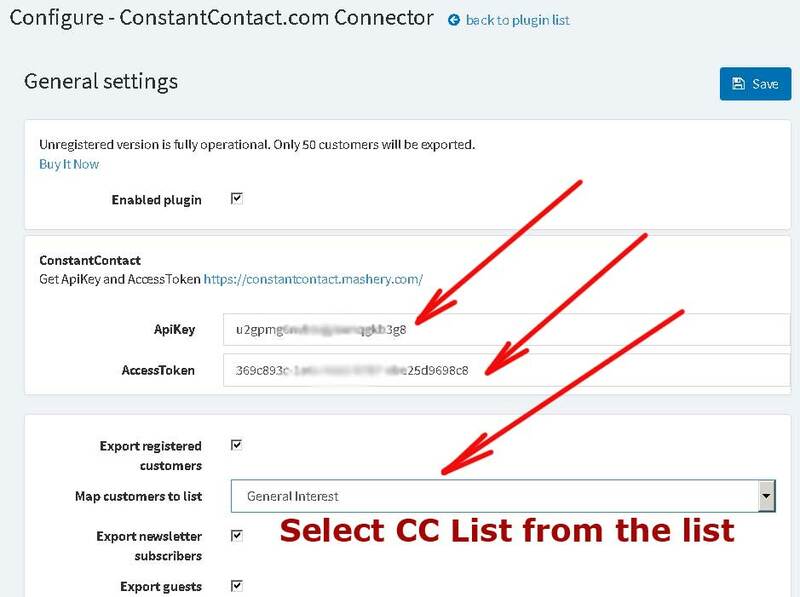 You can export all customers using Bulk Upload button (Bulk upload all contacts to ConstantConnect (initialization)). l) Plugin tries to export customer's address too. It can help you to send e-mail to all customers from the selected city or state.